[by Ent Team] A special invite event to support ‘The Running Actress’ has been prepared. The film full of actress Moon Sori’s self-rehabilitation live story, ‘The Running Actress (Director Moon Sori) has reached 10,000 audiences in 2 weeks by word of mouth and various CGV even though it was released at small-scale theaters on September 14th. 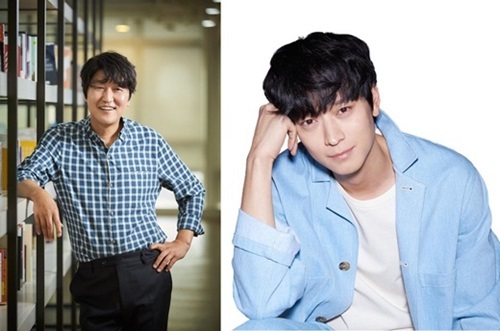 In addition, on the 26th, actors Choi Minsik, Sol Kyunggu and Park Haeil became a topic of discussion as they arranged a special invite event in order to support ‘The Running Actress’. Today (28th), actors Song Gangho and Gang Dongwon also continued the relay of support for ‘The Running Actress’. ‘The Running Actress’ is in the spotlight from receiving high praise from critics, the media, and audiences but the reality that there aren’t many screenings has caused seniors and juniors in the film industry to support the film. Starting with actor Choi Min Sik, Sol Kyung Gu, Park Haeil, Song Gangho, Gang Dongwon, these 5 actors that are outstanding just from hearing their names, supported the film and helped achieve the spectator numbers from 10,000 to 20,000. In addition the 2nd part of the free viewing comment event of ‘The Running Actress’ at CGV Arthouse provided by actors Choi Minsik, Sol Kyung Gu, Park Haeil, Song Gangho, and Kang Dongwon starts from today until the 29th and can be checked out through CGV Arthouse’s homepage. The day of free viewing is October 2nd, located in Busan and Gwangju. Song Gangho is inviting audiences to CGV Seomyun, Gang Dongwon is inviting audiences to CGV Gwangju Terminal for 100 people each. The event starts today on CGV’s Arthouse homepage. All you have to do is fill in the theater you want to go to along with the following “____ is___ today also” in the comment. A maximum of two tickets per person will be given to chosen people who write excellent comments and the winners will be announced on CGV Arthouse’s homepage on September 29th.